DC Comics has announced that part of their celebration of the upcoming Jack Kirby Centennial will be their publication of a 12-issue Kamandi Challenge series with a different top creative team for each issue. What a great idea! But as I read the news item announcing the series, a glaring omission from the list of creators shone so brightly as to nearly blind me. How could it be that the name Mark Evanier was not in that roster? 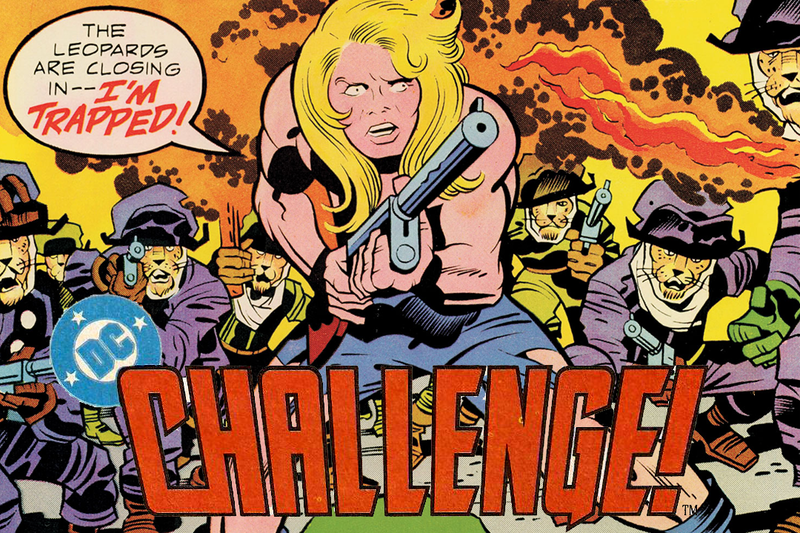 Mr. Evanier worked directly with Jack Kirby in the early 1970s including being involved during the preparation of 1972's Kamandi #1, and the gentleman went on to write the 1989-1991 incarnation of The New Gods as well as the first and last issues of the DC Challenge series of the 1980s. Surely these credentials qualify Mark to be invited to play in the Kamandi Challenge sandbox! 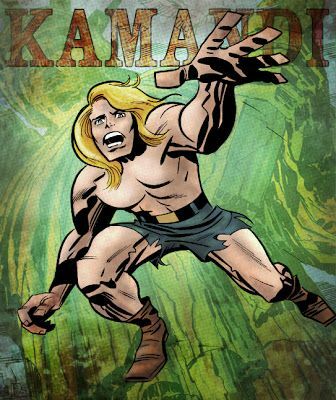 If Mr. Evanier was asked to take part in this new Kamandi project, I wish he would have come along for the ride; if he was not asked to participate, the editors should be ashamed of their oversight. 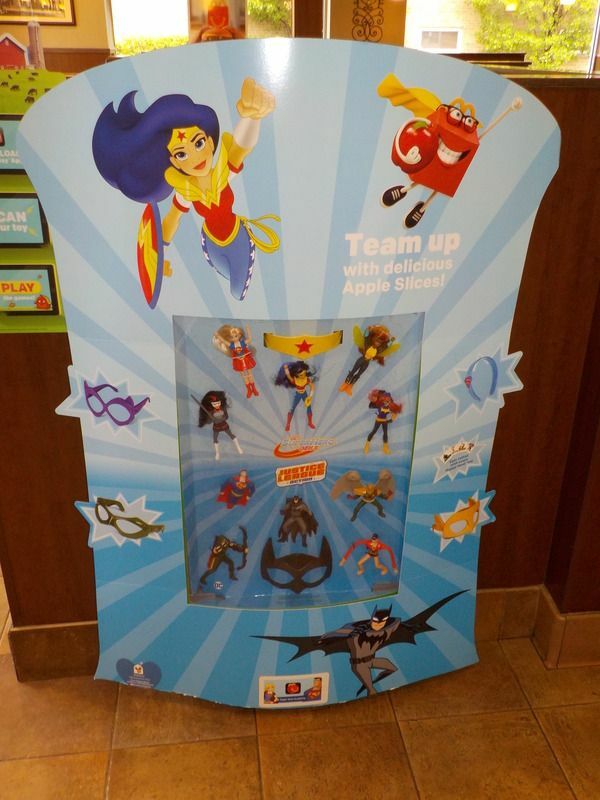 Justice League Action figures are currently the Happy Meal toy at McDonald's. If I didn't tell you, who would? Superman! Batman! Green Arrow! Hawkman! Plastic Man! You get one of these free when you order a Happy Meal so that's a pretty good deal. You can get a closer view of the figures in this fan-generated video. ...at age 15, I got a job at my local candy and cigar store that paid me two-dollars an hour so I could buy more comics. Old comics! I met my first real life cartoonist when a regular customer, a short, unassuming Japanese-American man came in with a portfolio and I asked him what was in it. He pulled out original art from Prince Valiant and Dondi that he was lettering. His name was Ben Oda. Suddenly, comics became humanized and were much more than The Fantastic Four, Spider-man, Batman, and something called Star Wars before the movie came out. Real people made these things. I started to recognize names and follow my favorite creators. Later on, I discovered Chester Brown’s Yummy Fur and Harvey Pekar’s American Splendor and learned that comic books could be about anything. And, with that, I decided I was going to be a comic book creator, no matter what. 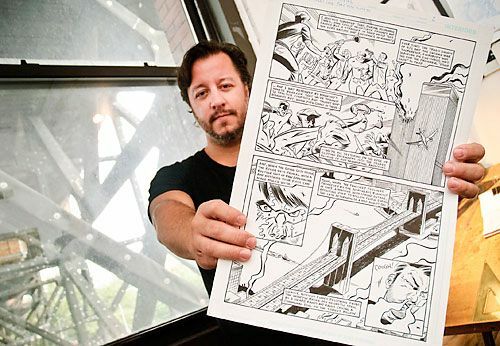 Hooray for Dean Haspiel and, as ever, hooray for Ben Oda!